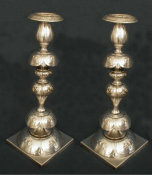 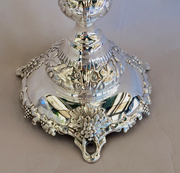 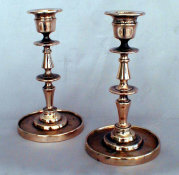 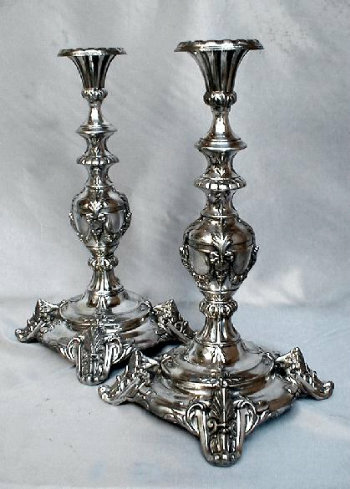 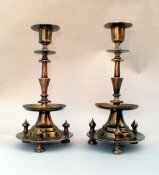 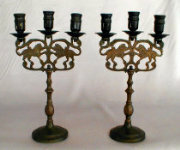 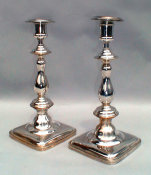 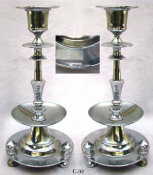 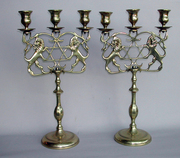 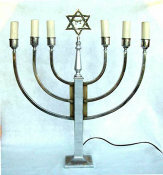 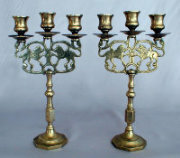 Magnificent and Monumental German silver plated Sabbath Candlesticks. 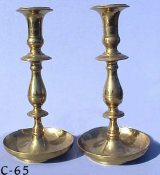 Marked "M. Jarra" c. 1870. ht: 15". 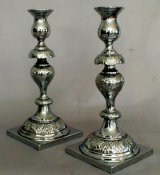 Neoclassical Revival style in architectural form. 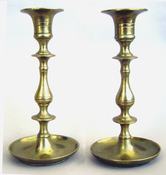 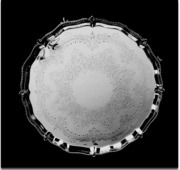 Baluster stem rises from elaborate circular footed base. 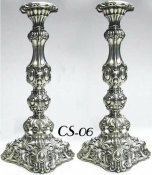 Feet elaborately scrolled and foliated with prominent Acanthus and Anthemion detail. 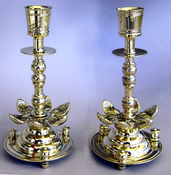 Entire candlestick lavishly detailed with festoons, banding, and masks. 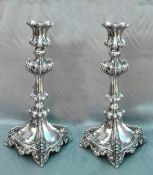 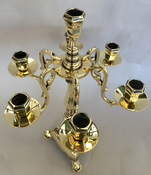 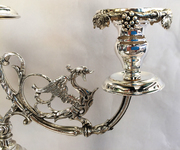 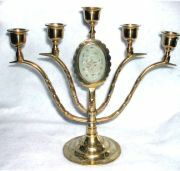 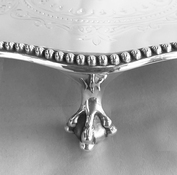 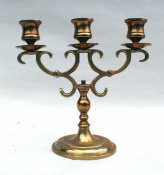 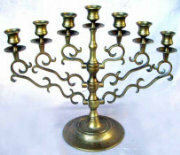 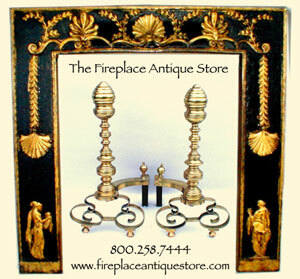 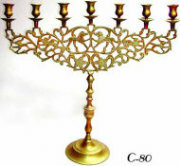 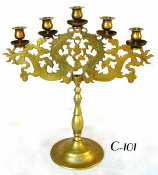 The candleholder beautifully detailed with fluting and Acanthus leaves.